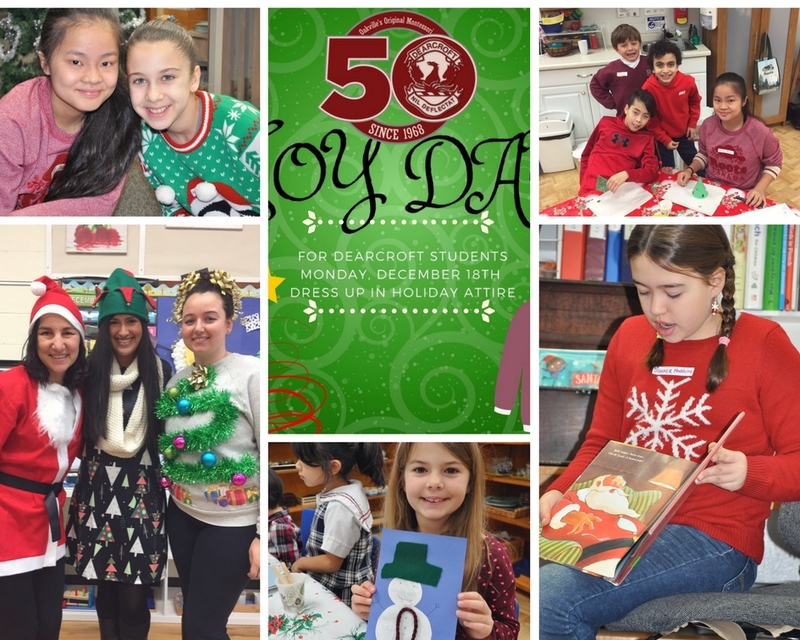 On Monday December 18th the students were filled with spirit; they were dressed in their best holiday attire as they celebrated Joy Day! 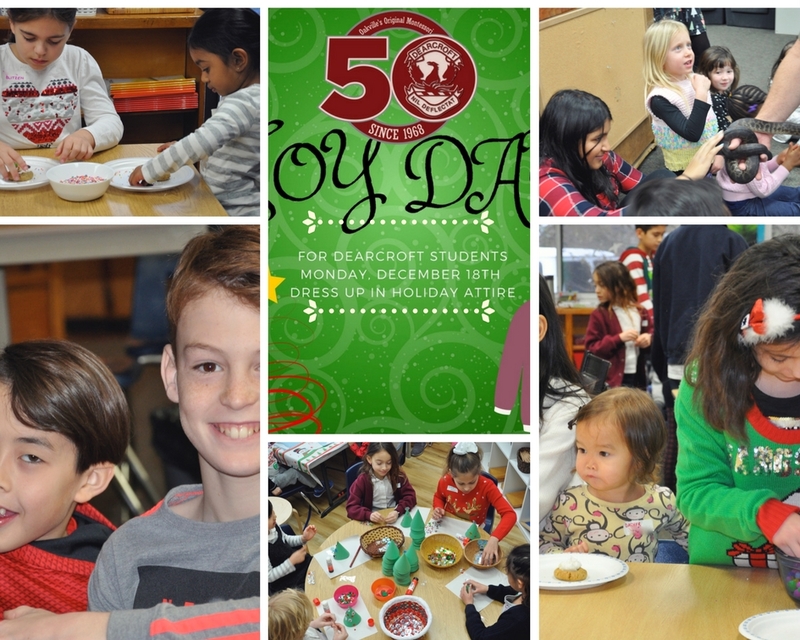 With the holidays fast approaching, the teachers at Dearcroft wanted to plan a special morning for all of the children at the school to enjoy. In keeping with the Montessori Pedagogy, each child was grouped based on mulit-ages, ranging from 18 months to 13 years. Each student was put into a special group: Santa, Dasher, Dancer, Prancer, Vixen, Comet, Cupid, Donner, Blitzen, and Rudolph and they rotated throughout the morning, spending time at each station. The older children helped the younger children with crafts, they read stories, they danced, and they held their hands through each transition. Joy day was filled with music, laughter, critters, creatures, stories, sparkles, stickers, glue, music, and lots of fun! 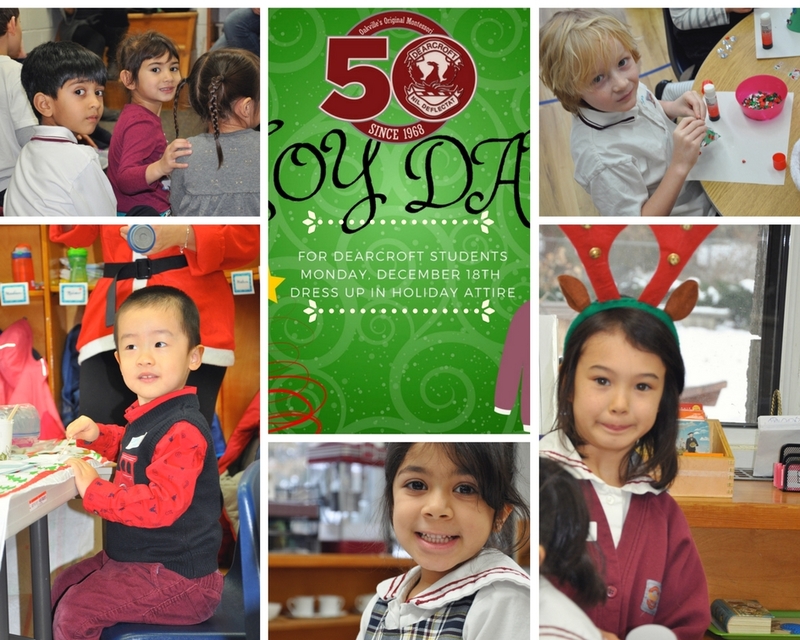 From our Dearcroft Family to yours, we would like to wish you a safe and happy holiday!